Happy festival season! From art festivals and live music to bike racing and more, there are so many great festivals on Chicago's North Shore. Here are some of our favorite summer festivals. Don’t miss the Glencoe Grand Prix! 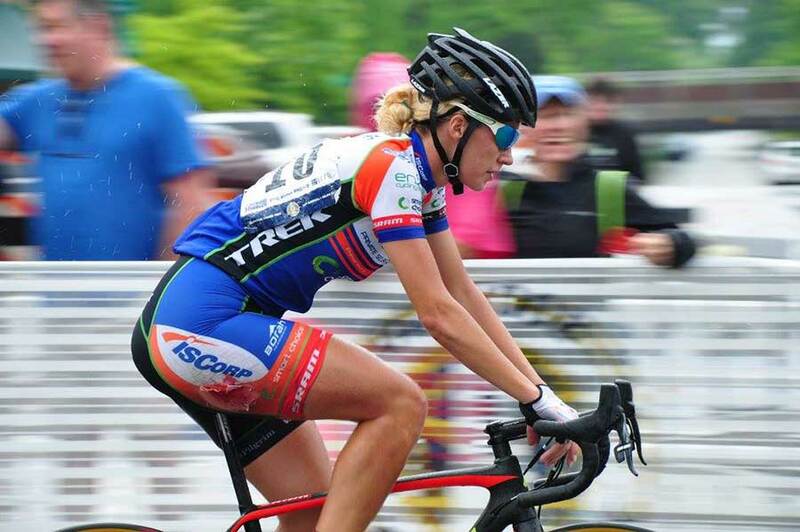 Now in its 11th year, the Glencoe Grand Prix is a community event that includes professional and amateur bike racing as well as live music, food and fun for the whole family. Since 1972, Custer Fair has been an Evanston summer favorite. With 300+ local and regional artists, craftspeople and commercial vendors, three entertainment stages, as well as 30+ food vendors, it’s easy to see why 70,000 people head to this award-winning North Shore tradition each year. New this year! Head to downtown Winnetka for this free, two-day music festival June 23-24. Hear some of the great emerging musicians from around the country including The Accidentals, Logan Brill, Brendan James, Emmet Cohen, Jared and The Mill and many more. There will also be a family stage, food trucks, craft beer and wine. 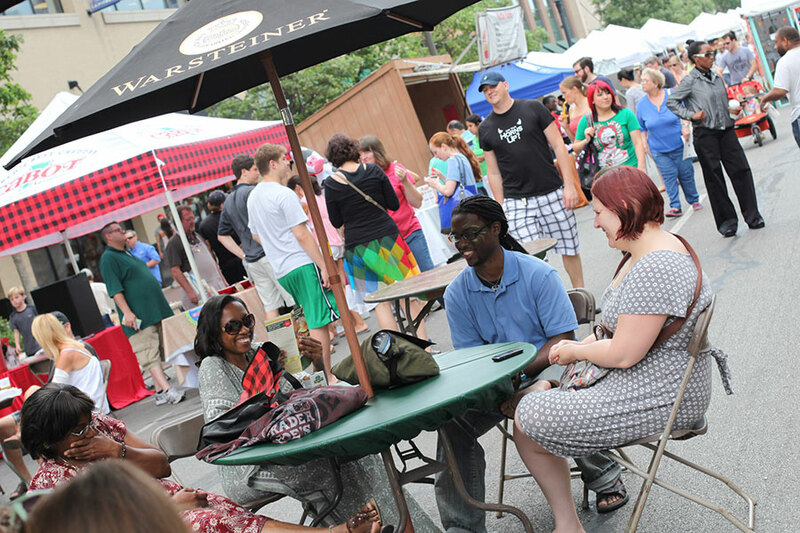 Expect something fresh and new at the Evanston Chamber Artisan SummerFest. 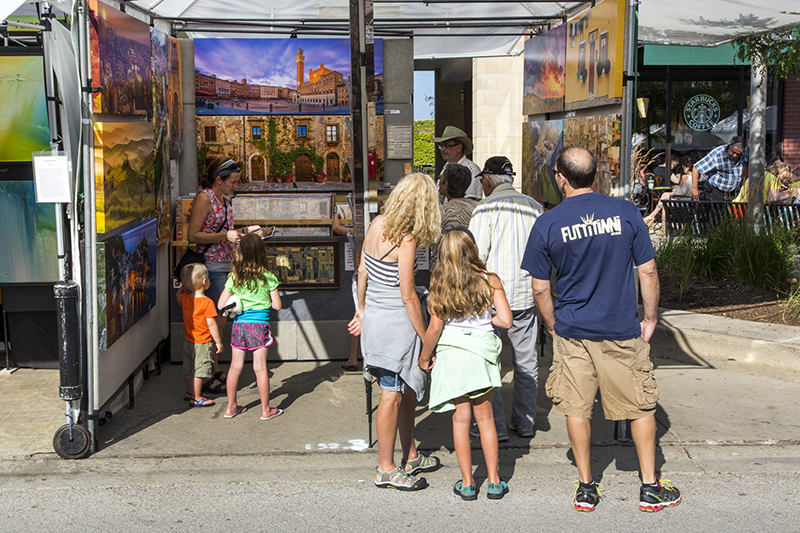 Formerly called Fountain Square Art Festival, this popular Evanston festival is the oldest fine arts fair on Chicago’s North Shore. See the works of 100+ juried artists while listening to live jazz. Looking to run a 5K this summer? You can run the runways of Chicago Executive Airport Saturday, July 1 at 8 am. The celebration continues at 5 pm with food trucks, live music, balloon twisters, face painting, and fireworks. 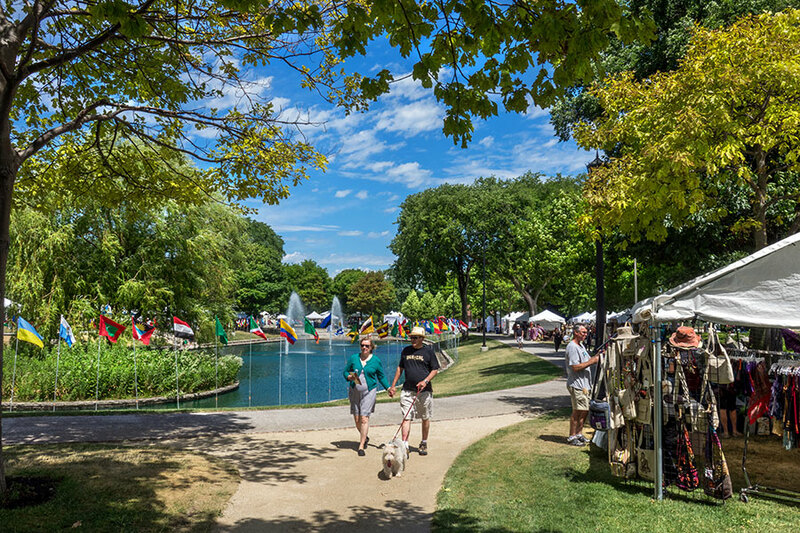 Shop and stroll along the esplanade at the Chicago Botanic Garden for its annual Art Festival. This one-of-a-kind art festival features botanic-themed and botanic-made photography, paintings, ceramics, jewelry and more from 100 juried artists. Find unique items to purchase or just admire them. 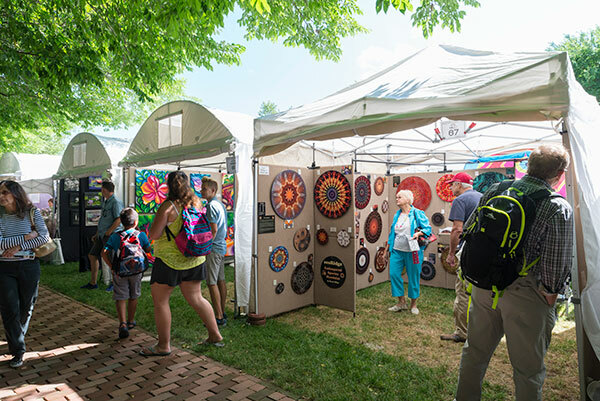 Free and open to the public, the North Shore Art Market will showcase the work of juried artists from across the country in a variety of mediums July 8-9. Browse painting, photography, ceramics, glass, jewelry, sculpture, furniture and more. In addition to the incredible artwork available for purchase, attendees will be able to interact with artists through demonstrations and interactive art experiences. Located in Westfield Old Orchard, swing by the festival between shopping or grab a bite to eat at nearby restaurants. 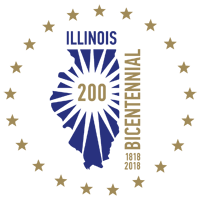 Formerly called the Evanston Ethnic Arts Festival, the World Arts and Music Festival is a celebration of arts and cultural diversity unlike any other! 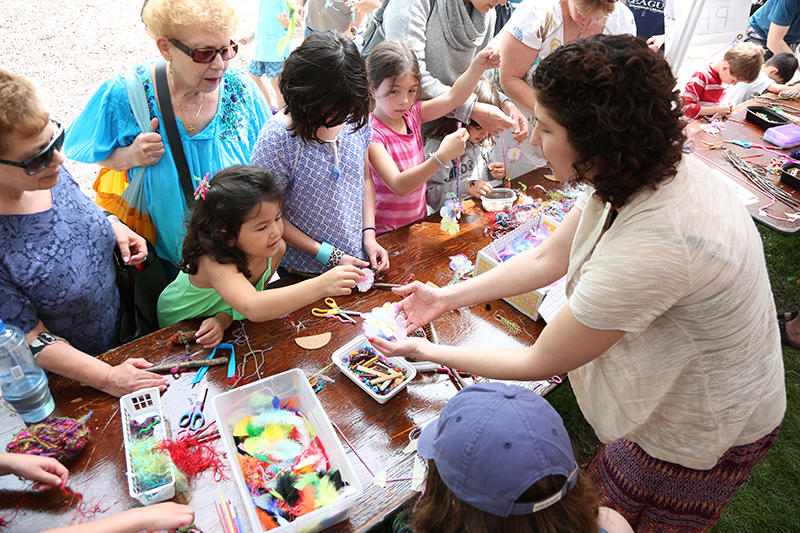 From July 15-16, celebrate global diversity along Evanston's lakefront with international cuisine, live music, dance, spoken word performances, family activities and art from an abundance of countries. And it’s free! Rated one of the top 30 shows in the United States by Sunshine Artist Magazine, Art at the Glen Town Center features the works of 185-juried artists from across the United States. The popular art festival showcases a variety of mediums including beautiful paintings, photography, furniture and jewelry both for viewing and for purchase. Quickly earning a reputation for quality, original live music and an array of unique family attractions, Skokie’s Backlot Bash is held annually over three days in late August. Since it’s inception in 2007, Skokie's Backlot Bash has presented popular international eclectic Rock, Blues and R&B artists. This year, you’ll hear A Flock of Seagulls, Soul Asylum, Tributosaurus as well as other great performers. 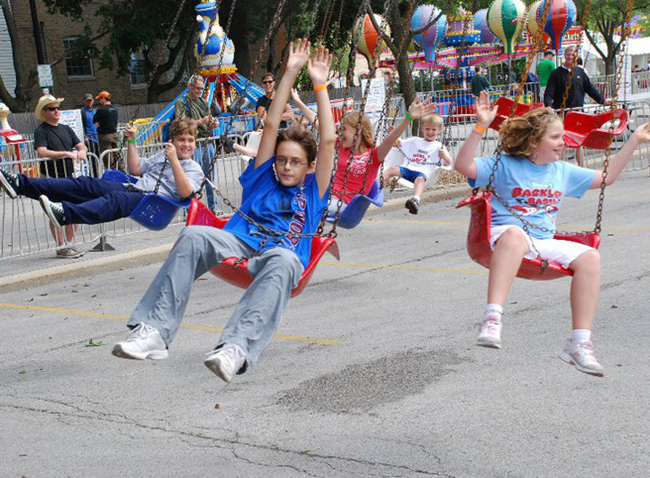 You can also enjoy carnival rides, a 5K run, classic films, kids’ activities, bingo and more! For a full list of North Shore festivals and other North Shore events, check out our events calendar. Be sure to share your festival experiences with us by tagging #chicagonorthshore.